Home→blog→What if we could see colours differently? ← Is a Beebot a computer? Last year I completed a DLaB Erasmus course called Technology Outdoors, which aimed, amongst other things, to promote digital learning across the boundaries of physical spaces, across curriculum subjects and across languages and cultures, to facilitate collaborative learning across national boundaries. This year’s course is STEM to STEAM, which is adding the arts to science, technology, engineering and maths building on the technology outdoors by promoting real world exploration and creative problem solving through physical and digital making.I’ve just completed week one and explored the concept of art helping us to visualise scientific data – looking at the hidden world. On a wonderful, but time consuming wander through amazing photographic magnifications, I stumbled across the former biologist Robert Rock Belliveau, who on retiring started taking amazing magnified photos of fruit and vegetables. There’s a great article here. During week three DLaB asked the question What if we could see colours differently?” and shared this video (below) of Neil Harbisson’s Ted Talk, which I found fascinating. Harbisson does not see any colours: his vision is in greyscale. Exploring a connection between colours and sounds, I found this BBC article on synaesthesia, a union of the senses, i-see-songs-in-colour According to the article, there are up to 70 different types of synaesthesia from tasting the time to smelling a symphony, although the most common involve colour. 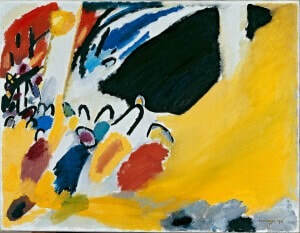 I hadn’t realised that Wassily Kandinsky’s abstract paintings were his experience of seeing music. This article includes links to the concert Kandinsky heard: music-art-schoenberg-kandinsky. I am not convinced that this piece is about seeing the music rather it seems an emotional response to the concert. Going a stage further, another question posed in this unit was How do blind people perceive art? and linked to activities to explore this as well as the tech apps etc that are now around to aid a visually-impaired person. 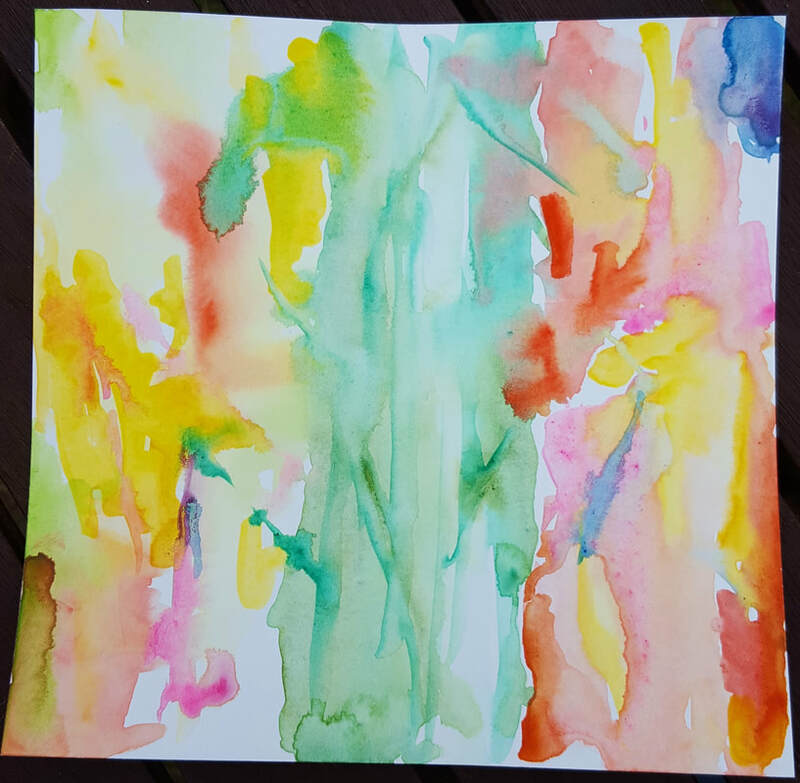 I explored further and found a great article on visual impairment and sight, What do blind people see, that linked interviews with photographs of the interviewees and then an artist created images inspired by them. However, what really interested me was the specific question and I found this on the BBC website bbc.com/culture with a film on Lisa Squirrel, who is visually impaired yet still has a passion for visual art. 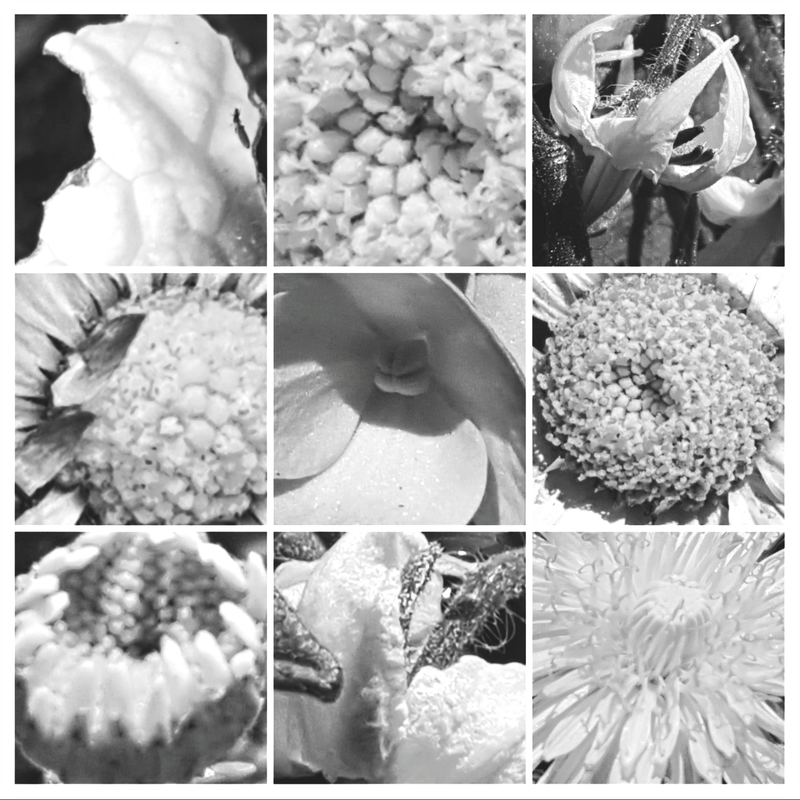 Last year, I created a colour collage, it’s here: White. This year, I chose to do another one. 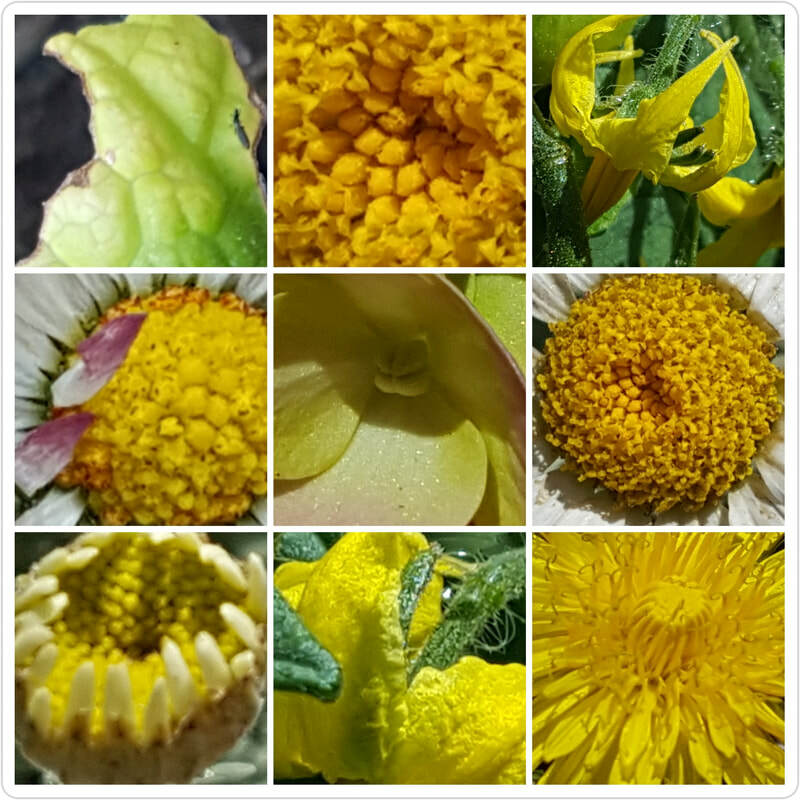 As it hasn’t rained for weeks and the prevailing colour is yellow, that was my choice for it. Furthermore, I added week one’s what-if-i-could-change-size and took macro photos. 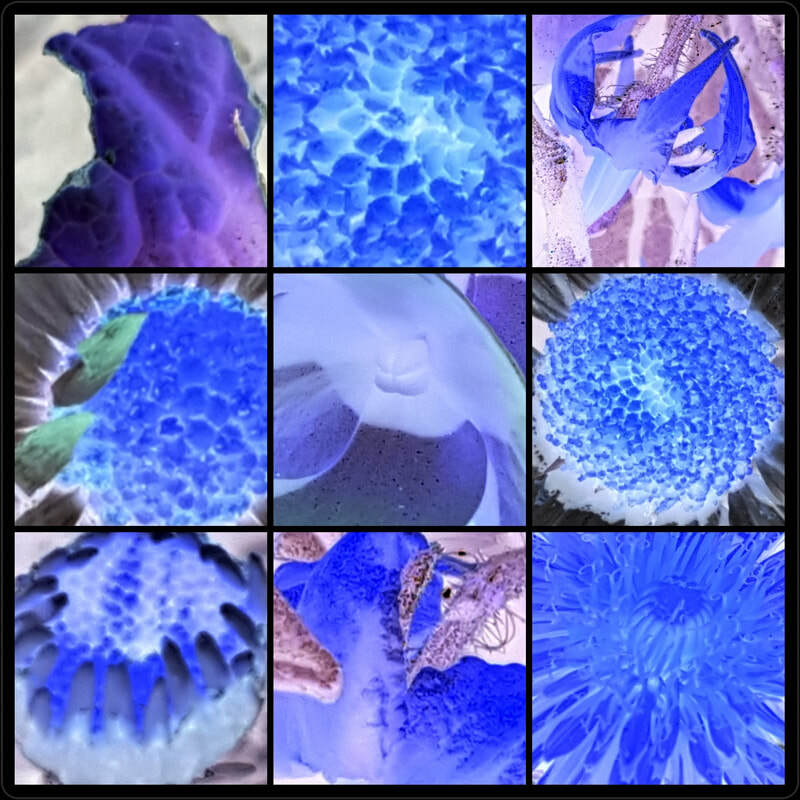 Finally, I created a negative of the collage – at the top of this post.